The United States has had its fair share of American Grief for a country that is still young in the world. From starting our country with a war to attacks on our own soil, we consistently show that we are resilient as a people. Part One of our American Grief series left off with The Great Depression and Part Two now picks up with the death of the man who restored our economy. One of America’s favorite presidents was Franklin Delano Roosevelt. Roosevelt was stricken with polio at an early age. Polio is a disease that causes muscle weakness and paralysis, and sometimes death. FDR had polio, but it remained widely unknown until after his death. Roosevelt hid his polio by using leg braces to stand up straight. Roosevelt’s fight against polio is only part of his legacy. Roosevelt was our president during almost all of World War II. He helped lead the charge against the Axis powers. Also, he often helped the public understand the political events of the time through his famous fireside chats. During which he would go on the radio and speak to anyone who had a radio in America. He helped spread concise and accurate news, while also boosting the public morale. For 16 years, FDR remained one of the most influential presidents ever. He was hit by a stroke at the age of 63. The American grief that came after was overwhelming, as we were unprepared to deal with it. His funeral procession took his body on a slow train across the eastern coast of the United States. He was buried at his estate in New York. Every newspaper reported on his death, the nation was taken by storm. Harry Truman had to live up to the legacy of an amazing president. Also the relationship between president and vice president greatly changed. Truman was in the dark for many of FDR’s dealings and had less experience in foreign policy. Truman claimed to have only met with Roosevelt 8 times before he was thrust into the role of president. Now the relationship between the President and his successor is much tighter and fleshed out. Roosevelt left a lasting legacy in both his private and public life. John F. Kennedy, the second youngest president, was met by the public with general feelings of happiness and acceptance. Kennedy was a senator and also known for his heroism during World War II. After his crew was attacked by a Japanese destroyer, he led a daring mission to rescue his crew and provide aid to them. Once he returned from the war, JFK took up a career in politics and became a senator in Massachusetts. During the 1960 election, JFK won the primaries and moved onto the race. JFK was up against Richard Nixon. JFK won due mainly to his charisma during the televised debates. It didn’t help that Nixon was also afflicted with the flu during the first televised debate. Kennedy handily won the electoral vote and was quickly inducted into office. He proved his worth as president during the Cuban Missile Crisis. Kennedy was able to come to an agreement with Khrushchev and the two managed to prevent nuclear war. JFK was a well-respected and loved president. Horror struck when he was shot in Dallas, Texas. Kennedy was killed while helping his political party settle disputes between opposing democrats. After his death, the nation, once again, was taken with shock. It was hard for the public to deal with not only the death of their president, but also such a young man. There was a mass held at Kennedy’s church and he was buried in a plot at Arlington National Cemetery. Nearly 20 million people visited JFK’s plot before he was moved to his permanent grave. Kennedy is a widely remembered and respected man. His death was a tragedy that is still felt today. In 1995, terrorists attacked the Alfred P. Murrah Federal Building and 168 people were killed and over 650 were injured. Humanitarian efforts occurred immediately after the bombing and first responders were on the scene. Rescue workers were working around the clock to help those who were trapped or in danger. The Salvation Army provided food and supplies to those rescuers. Their efforts saved the lives of over a thousand people. Many nations offered their condolences and gave speeches of grievance. A solemn memorial was built for the victims, comprising of the Reflecting Pool, the Field of Empty Chairs, The Gate of Time, The Survivor Tree, Survivor’s Wall, The Memorial Fence, and Rescuers’ Orchard. The Alfred P. Murrah building was named after an Oklahoma native who was one of the youngest federal judges in history. The attacked building was was demolished about a month after the bombings due to safety reasons. The most destructive terrorist attack in United States’ history occurred on September 11th, 2001. Almost 3,000 men, women, and children were killed in a suicide bombing by terrorists from al-Qaeda. One of the most horrible attacks in history, also remains fresh in our minds. The attack occurred 14 years ago and still for many of us it still stings. The immediate aftermath responders helped rescue operations. Many brave police and firefighters rushed into the building, selflessly risking their lives to save the lives of others. The lives of those who were lost will be remembered though. Dozens of memorials have been arisen. The 9/11 attacks were so poignant for Americans since we have not often experienced attacks on our own soil. Pearl Harbor was the most recent attack that we had experienced on our own soil and was 60 years in the past. Other nations around the world have the grief of war still etched into their memories and landscapes. We as a nation remember our tragedy and honor those who have fallen. We grow and learn and move past our tragedy to continue as a world power. America is resilient. American Grief is shown over and over again to not be something that debilitates us as a country, but something that brings us together. Over the short time that North America was discovered and The United States established, we have faced several setbacks but never succumbed to them. 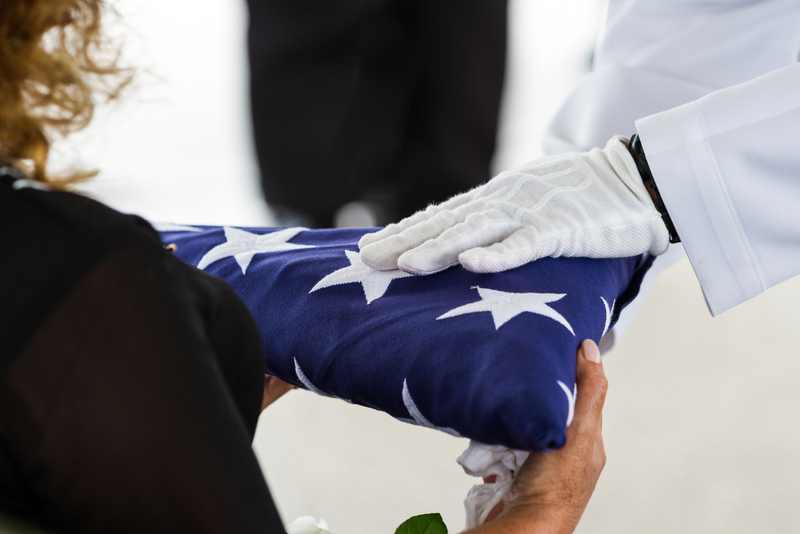 At The American Academy of Bereavement, it is our goal to help caregivers, counselors, and mental health professionals to continue on this tradition.